Recently I have received an Amazon voucher of a very generous amount. Now, I am a very, and I mean very indecisive person, especially when it come to vouchers and what I should spend them on. What with Amazon being such a massive store selling hundreds of products from hundreds of different brands, it has made the task even more difficult! But finally I managed to find something (well two things to be precise) which caught my eye enough to lure me to the infamous 'Add To Basket' button. What were these amazing pieces might you ask? 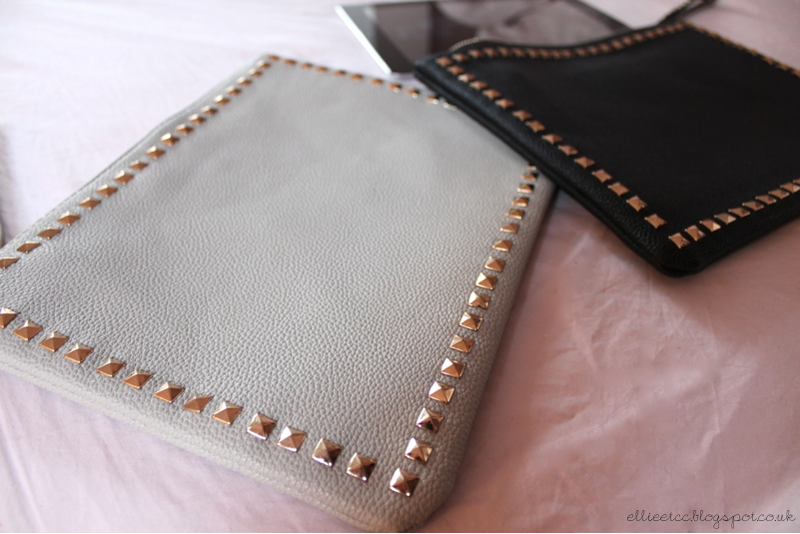 They would be these two great studded clutch bags! 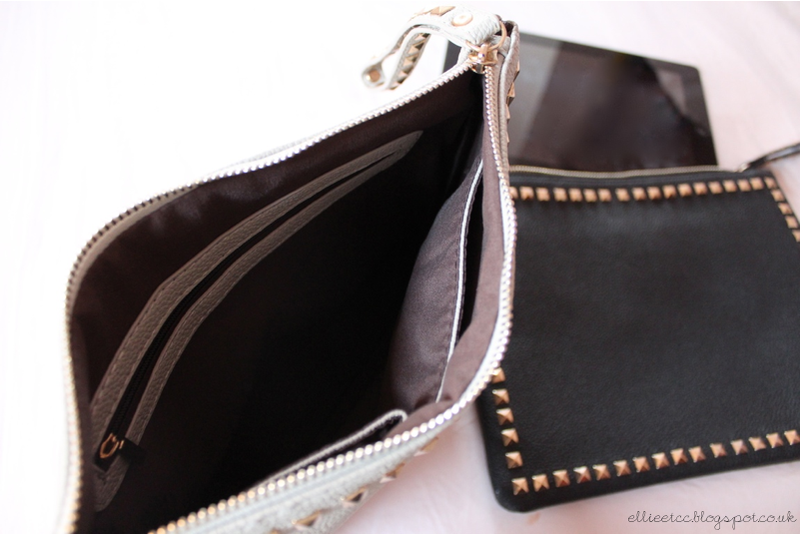 I've never really been one to go for clutch bags, in fact I've never actually owned one before. But after becoming totally immersed in the world of blogging and wishing I looked like the amazing glamorous type who carry clutch bags almost constantly - I felt it was time. These two are great for the current stud trend, and I think they'll easily stay in fashion once the whole stud scene has faded away. They are big enough to fit in an iPad (hence my iPad making it's debut appearance! 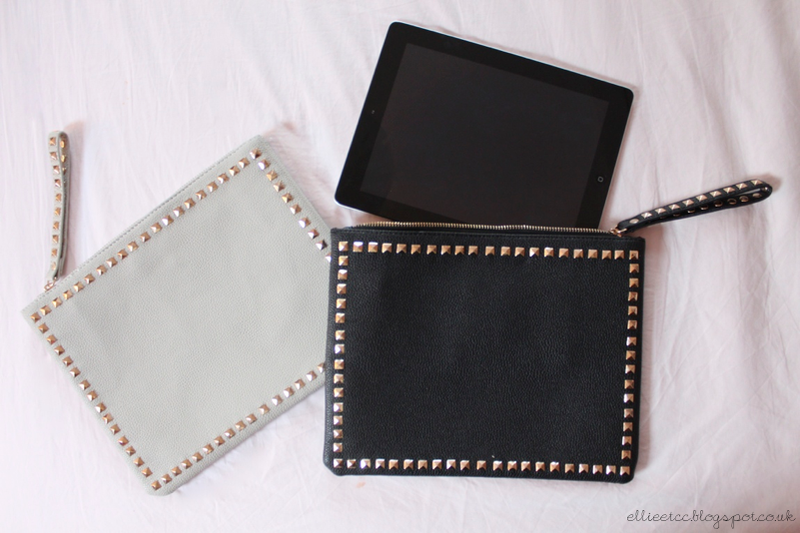 ), which is always great as it means the double as iPad cases! And the best part is they were only £9.99 each?! What kind of crazy price is that?! So they had to be made mine.